"I am committed to providing therapeutic massage for the relief of stress, tension, and chronic pain, working in conjunction with other prescribed treatments to facilitate the healing process." Norma Keywan is a registered nurse massage therapist who cared for hospital patients for 25 years before shifting her focus to massage therapy. Her search for ways to augment her traditional nursing skills began with training in Therapeutic Touch in the 1980s and extended to certification in therapeutic massage and bodywork in the 1990s. Today, she continues to add to her repertoire of care- giving skills through training in techniques such as Russian Medical Massage, further enhancing the compassionate healing she facilitates in those who suffer pain and illness. In 1971, Norma earned a nursing degree in Ontario, Canada, where she began her service in medical and surgical units at Oshawa General Hospital and Ross Memorial Hospital, later specializing in emergency care. 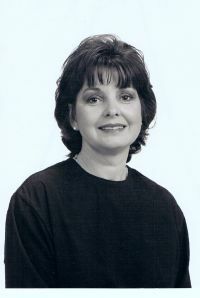 After relocating to the United States in 1990, she was licensed in the state of Indiana and spent six years on staff in women's surgery at St. Vincent Hospital in Indianapolis. On the strength of her conviction that compassion is the key to healing, Norma turned her attention in the early 1980s to a nursing technique known as Therapeutic Touch a contemporary interpretation of ancient healing practices that is currently used in hospitals, health centers, and private practices as an adjunct to conventional methods of treatment. Therapeutic Touch is a conscious process of energy exchange during which the practitioner uses her hands as a focus to facilitate healing, thus enabling people to repattern their energy in the direction of health. Norma trained under TT cofounders Dolores Krieger and Dora Kunz earning her certification in Advanced Therapeutic Touch Practice in Hawali in 1995. Norma began her studies in massage therapy at the Indianapolis Health Enrichment Center in 1993 earning national certification in 1995. One year later, she was traind in Russian Medical Massage by its founder, Dr. Zhenya Kurashova Wine, and learned the Mann Pain Management Technique for Fibroinyalgia and Myofascial Pain from Dr. Steven Mann. In her private practice Norma provides therapeutic massage tailored to the needs of the individual, offering Swedish and connective tissue techniques, Russian massage, polarity therapy, reflexology, acupressure, therapeutic touch, and pain management techniques.